Utilizing advanced computer programming linked to its new ticketing system, the Cardinals will have the ability to adjust ticket prices upward or downward on a daily basis based on changing factors such as team performance, pitching matchups, and the weather. Unmentioned in the press release was the fact that the “advanced computer programming” is actually a giant knob in Bill Dewitt’s office marked “Ticket Prices”. 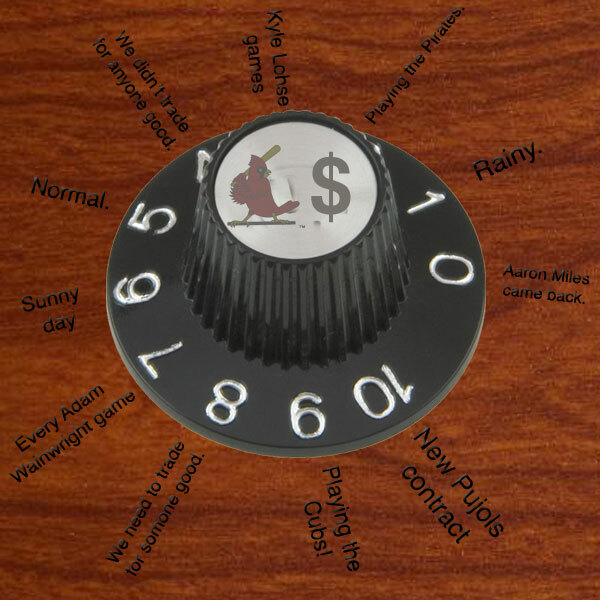 The knob was installed earlier this week and was mounted directly to the right of the “release the hounds” button that successfully got Jason Marquis out of town.